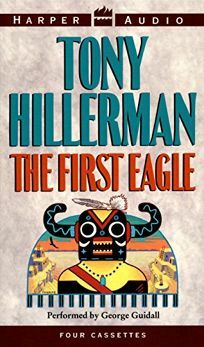 The modern resurgence of the black death animates Hillerman's 14th tale featuring retired widower Navajo Tribal Police Lieutenant Joe Leaphorn and Acting Lieutenant Jim Chee. Bubonic plague has survived for centuries in the prairie-dog villages of the Southwest, where its continuing adaptation to modern antibiotics has increased its potential for mass destruction. Leaphorn is hired by a wealthy Santa Fe woman to search for her granddaughter, biologist Catherine Pollard, who has disappeared during her field work as a ""flea catcher,"" collecting plague-carrying specimens from desert rodents. At the same time, Jim Chee arrests Robert Jano, a young Hopi man and known poacher of eagles, in the bludgeoning death of another Navajo Police officer at a site where the biologist was seen working. As Leaphorn learns more about Pollard's work from her boss in the Indian Health Service and an epidemiologist with ties to a pharmaceutical company, the U.S. Attorney's office decides to seek the death penalty against Jano, who is being represented by Chee's former fiancee, Janet Pete, recently returned from Washington, D.C. Hillerman's trademark melding of Navajo tradition and modern culture is captured with crystal clarity in this tale of an ancient scourge's resurgence in today's world. The uneasy mix of old ways and new is articulated with resonant depth as Chee, an aspiring shaman, is driven to choose between his career and his commitment to the ways of his people, and Leaphorn moves into a deeper friendship with ethnology professor, Louisa Bourebonette. Author tour. (Aug.) FYI: Simultaneous release by HarperAudio in abridged ($25 ISBN 0-694-52011-X) and unabridged ($34.95 ISBN 0-694-52051-9) editions.